The First Amendment of the United States Constitution grants that everyone has a right to free speech. However, the constitution does not guarantee that all speech is protected and someone could find themselves arrested for a crime. Therefore, a purported criminal threat allegation demands that it be examined under the circumstances in which it was made. Moreover, California Penal Code 422(a) makes it unlawful to willfully threaten to commit a crime that will result in death or great bodily injury to another person, with the specific intent that the statement is to be taken as a threat, even if the speaker does not intend to actually carry it out. Additionally, the statement may be made verbally, in writing, or by means of an electronic communication device. The statement is required to be, on its face and under the circumstances in which it is made, so unequivocal, unconditional, immediate, and specific as to convey to the person threatened a gravity of purpose and an immediate prospect of execution of the threat. And the statement must cause the person to reasonably be in sustained fear for his or her safety or that of his or her immediate family. Although a statement could be vague or over broad, nonetheless, this statute has withstood multiple constitutional challenges under First Amendment grounds. The following article will address some important things about conveying a criminal threat in Orange County, Los Angeles, San Bernardino, San Diego, and Ventura Counties. 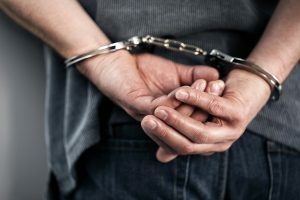 Early intervention by an experienced Orange County Criminal Threats Attorney is crucial for the preparation of a successful defense. If you’ve been arrested for felony charges of making a criminal threat, then your bail amount will be $50,000. By retaining counsel, your attorney can assist in coordinating and making arrangements with a bail company before your arrest, thus making your custody release quicker. In addition, your attorney can submit notices to individuals or business demanding that they preserve any and all evidence that may be useful for you in court. This is important because with the passage of time, critical evidence becomes lost, destroyed, and witnesses memories begin to fade. Furthermore, when appropriate, the Law Offices of John D. Rogers will submit a mitigation package to the prosecuting agency in an effort that they reject your case from formal filing. A mitigation package may consist of character letters, certificates and awards, and additional evidence that the police failed to collect or gather. This ensures the filing prosecutor considers all the evidence and not just the one-sided opinion of the arresting officers. Lastly, your attorney will be your point of contact with a detective as to ensure that you do not make an incriminating statement. The threat caused the other person to sustain reasonable fear for their safety or the safety of an immediate family member. WHAT ARE THE DEFENSES TO PENAL CODE 422(a) CHARGES? Ambiguous statements generally will not suffice for a criminal threats conviction. For example, shouting “I’m going to get you!” could have multiple interpretations that are anything but criminal. Moreover, greater precision is required since the statement could be that you were going to give a gift to your accuser or perhaps retaliate by playing a practical joke. In cases like this however, the statement will not only be examined on its face, but also the surrounding circumstances. For instance, if you previously committed harm against you accuser after saying you were “going to get [them]”, it could support a criminal threat charge given that you previously committed physical harm after making the same statement. But in cases where the surrounding circumstances does not equate into making the statement criminal, then the above statement will fail for vagueness or being overbroad. Some prior case law examples provided below will show that the use of surrounding circumstances may change the seemingly innocuous words into a criminal threat. CASE EXAMPLE: Your former girlfriend seeks to obtain a restraining order against you after a heated break up. You then send her a text message saying that you would “play dirty” in response to her attempt in obtaining said order. Although the statement of “play dirty” is ambiguous as to its specific definition and/or interpretation, a similar case in another jurisdiction was upheld where the defendant did the same conduct but had previously used the expression as a precursor to committing serious physical violence and abuse on his girlfriend. CASE EXAMPLE: In In re Ricky T. (2001) 87 Cal.App.4th 1132, the court held that a student did not convey a criminal threat when the student said, “I’m going to get you” to his teacher, who had accidentally hit him with the door. The court stated that the statement was ambiguous, not immediate, and unaccompanied by a showing of any physical force nor did the parties ever have a history of disagreement. Therefore, there was insufficient evidence to prove that a criminal threat was conveyed. As an essential element pursuant to Penal Code section 422, the government must prove your accuser suffered sustained fear – i.e., fear for a period of time that is more than momentary, fleeting, or transitory. In most instances, your accuser will exaggerate their level of fear as well as how long they sustained fear for. If your accuser only suffered fear for a small window of time, then that arguably is not sufficient to constitute “sustained fear.” In addition, the level of fear is measured objectively. In other words, would a reasonable person in your accuser’s position result in sustained fear based on your statement? There could be arguments that your accuser is too hypersensitive and their level of fear, as well as duration, would not be consistent with a reasonable person. Conditional threats are normally not sufficient to constitute a criminal threat since it fails for immediacy. In other words, your accuser must believe that death or great bodily injury is imminent. Conditional threats usually contain words such of “or else”; “I’m going..”; or “if”. When deciding whether an utterance constitutes a “threat”, the words themselves play a pivotal role, but the government can use the surrounding circumstances in conjunction with your alleged statement. Below are some examples where the court has upheld a criminal threats conviction even when the statement was made conditional. CASE EXAMPLE: You point a gun at a family members head while commanding that they “Don’t lie to [you]” and “Don’t call me that”. This scenario was upheld to be an unequivocal, unconditional, immediate and specific since it conveyed to the family member an immediacy of purpose and immediate prospect of execution of the threat. CASE EXAMPLE: A high school student’s poem, ending with “For I can be the next kid to bring guns to kill students at school. So parents watch your children cuz I’m BACK! !” did not constitute a criminal threat since the poem was not so unequivocal as to have conveyed gravity of purpose and immediate prospect that student would bring guns and kill classmates to whom student had disseminated the poem to. Unless supported by additional evidence, a statement conveying “I’m going to get you” not only fails for arguably being ambiguous, but it does not indicate that you will cause your accuser great bodily injury. It’s equally plausible that statement could be consistent with just pushing or shoving your accuser, conduct not significant enough as to cause great bodily harm. A verbal statement, not mere conduct, is required under PC 422. For instance, pounding your fist against your other hand could convey a statement that you may want to fight your accuser, but as noted above, that conduct is open for different interpretations. However, in People v. Franz (2001) 88 Cal.App.4th 1426, the court held that the defendant did convey a criminal threat when he put his finger to his lips and uttered either “shush” or “sh” to indicate that two victims should not speak to police, and then slid his finger across his throat, was sufficient to be a verbal, unequivocal, immediate statement as required under this statute. The statute applies to a person acting with the specific intent that the statement be taken as a threat. For example, if you made the alleged threat as a practical joke, then you did not harbor the specific intent and therefore you’re not guilty of this offense. Note however, claims that you never actually intended to carry out the threat will not suffice as a viable defense. Additionally, the criminal threats statute was not enacted to punish emotional outbursts, it only targets those who try to instill fear in another. Thus, you may in private, curse your enemy and shout revenge for real or imagined wrong-safe from criminal threats sanction. CASE EXAMPLE: In the context of conveying a threat to a third party, the defendant made a threatening remark to his psychologist during a therapy session that if the defendant saw his former girlfriend with somebody else, he would shoot her. Thereafter, the psychologist called the girlfriend where the girlfriend reacted to the call by expressing fear for her safety. The court concluded that the evidence of the circumstances under which the threatening statement was uttered was insufficient to support an inference that the defendant intended the third party to relay the threat. Moreover, the psychologist never informed the defendant nor did the defendant know the psychologist would report his statement to a third party. Therefore, the specific intent element of this offense was not met since there was no evidence that the defendant has specifically intended his psychologist to convey the threat to his girlfriend. CASE EXAMPLE: In In re Ryan D. (2002) 100 Cal.App.4th 854, the defendant was angry at a police officer who had cited the minor for possession of marijuana. A month after his arrest, he painted a picture depicting the minor shooting the officer, and turned it in as a school art class project. The instructor took it to the assistant principal’s office and, when the painting was later shown to the officer, she became concerned for her safety. The appellate court reasoned that although a criminal threat need not be personally communicated to the victim, nonetheless, the criminal threats statute was not enacted to punish mere angry utterances or ranting soliloquies, however violent. Accordingly, the court ruled that the evidence was insufficient to prove the defendant intended for the officer to see the painting. Indeed, the defendant never gave the painting to the officer nor did the defendant put it in a location where he knew the officer would see it. To reiterate the long standing rule, a person must have the specific intent that the victim would be shown the statement if conveyed to a third party. There is no law directly on point with a self-defense claim of conveying a criminal threat since it’s not always involving a physical altercation. However, an argument could be made that you only conveyed the threat because you were placed in reasonable fear that your accuser was going to harm you or a third party. In other words, you merely conveyed the threat as a preventative measure to stop your accuser from harming yourself or someone close to you – e.g., friend or family member. In addition, this argument could be mixed with the above discussed defense of conveying a conditional threat. For example, you could have said, “If you harm my child, I will kill you!” This statement is not only conditioned upon your accuser harming your child, but it also serves as a viable claim of defending your child from unreasonable risk of harm by your accuser. Falsely accusing someone of a crime is more popular that most would expect. In fact, you would be surprised how easy it is to falsely accuse someone. Simply filing a police report, without any corroborating evidence, may suffice to land you in jail and later having to fight criminal charges. The reasons for falsely accusing someone can be endless – e.g., your spouse is attempting to gain child custody and is only falsely accusing you to have better chances of gaining full custody in family court; your former dating partner is upset because you cheated on them; or a former friend is upset because you owe them money. These instances only reinforce the fact that a full comprehensive defense investigation must be conducted on your behalf. This may include speaking with individuals attesting to your good moral character; obtaining text and facebook messages; as well as investigate the prior history of your accuser to determine whether they’ve lied or falsely accused someone in the past. Any person who regularly lived in the other person’s home within the last six months. Indeed, an immediate family member is anyone who is related to your accuser by blood or even marriage. For instance, threatening to harm your accuser’s brother-in-law may arguably suffice to warrant this charge if there’s a legal connection. However, close friends, colleagues, or acquaintances to your accuser will not support a conviction for criminal threats unless they regularly live or regularly lived with your accuser within 6 months of the alleged threat. The term “regularly” is not precisely defined and therefore could serve as a viable argument if your accuser’s cohabitation with the other person was sporadic or merely occasional. Factors your attorney should consider is how often your accuser and the third person allegedly threatened would sleep in the same place; whether they shared household expenses; and whether the third party has another place they stay at. Contrary to popular belief, law enforcement need not always admonish you of your Miranda Rights when they question you. Miranda warnings are only triggered if you’re subjected to custodial interrogation. And failure to admonish you, will not always result in a case dismissal but will result in the suppression of your incriminating statements. Indeed, the government may be relying on your admissions that help corroborate your accuser’s version of the circumstances. If you’re statements are ordered suppressed, then the government’s case against you could become much more burdensome. Therefore, if police are requesting to speak with you, it’s in your best interest to demand the presence of a lawyer first. In the event you make an incriminating statement, your lawyer can file a motion requesting a hearing to determine the admissibility of your statement in the government’s case in chief. A favorable ruling could result in a dismissal but normally result in creating more doubt in the government’s case against you. Penal Code 422(a) is punishable as a misdemeanor or felony. A misdemeanor convictions carries a sentence of up to one year in the county jail and a fine not exceeding $1,000. A felony conviction carries up to three years in state prison. The government may allege the offense as a “strike” applicable to California’s Three Strike Laws. This may serve as a sentencing enhancement in the event you commit a future felony. However, in most instances, the judge will place you on a period of probation, impose counseling, anger management, and community service. 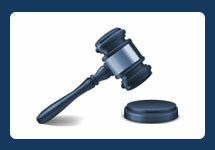 The court will additionally impose a protective order restricting you from contacting your accuser. WHAT ARE EXAMPLES OF MAKING A CRIMINAL THREAT? EXAMPLE 1: Dan sent a text message to his old girlfriend informing her that he was coming over to her house to kill her after she cheated on him. In this case, Dan would be charged with conveying a criminal threat because he conveyed a direct message that he would end his girlfriend’s life, and he was motivated to send the message after she cheated on him. The government’s position is that a reasonable person would take this as a threat distilling fear. EXAMPLE 2: Jackie was in the process of a messy divorce with her spouse. After her spouse obtained a favorable judgment gaining full custody of the children, Jackie sent an email to her former spouse stating that she will kill him because he obtained full custody. In this case, Jackie would be charged with criminal threats because she likely intended to convey the threat based on her spouses favorable ruling. Because of the very nature and sensitivity of losing your child, a reasonable person would interpret this statement as true and cause fear in her former spouse. EXAMPLE 3: Joe and his neighbor have been having problems for years because his neighbor would often borrow gardening equipment and not return the items as promised. Their relationship would sometimes be hostile and lead to physical altercations. One morning, Joe was fed up and left a note on his neighbor’s door stating that his neighbor will not be waking up the next morning. In this case, the government would charge Joe with criminal threats because his note stating “not be waking up” has a reasonable interpretation of causing his neighbor’s death. Furthermore, their relationship has always been hostile evidencing motivation and intent to cause the death of his neighbor. Lastly, the government will use their prior physical altercations as evidence to show that Joe has the intentions to take the threat as true and instill reasonable fear into his neighbor. 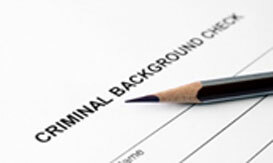 IS FELONY CRIMINAL THREATS ELIGIBLE TO REDUCED TO A MISDEMEANOR AND EXPUNGED? The reason you’re seeking reduction – e.g., employment, military, etc. To expunge your conviction, a specific petition must be filed under PC 1203.4. To obtain this remedy, you must have fully completed your probation period. In most cases, your attorney will file a reduction motion along with an expungement petition to be litigated during the same hearing. 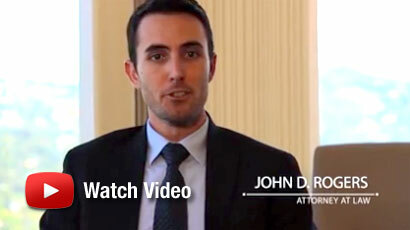 If you’re being investigated, charged, or have been arrested for making a criminal threat under Penal Code 422(a), then contact an Orange County Criminal Defense Lawyer at the Law Offices of John D. Rogers for a free confidential consultation concerning your rights and defenses. Amendment I (First Amendment) of the United States Constitution guarantees freedoms concerning religion, expression, assembly, and the right to petition. California Penal Code 422, subdivision (a): Any person who willfully threatens to commit a crime which will result in death or great bodily injury to another person, with the specific intent that the statement, made verbally, in writing, or by means of an electronic communication device, is to be taken as a threat, even if there is no intent of actually carrying it out, which, on its face and under the circumstances in which it is made, is so unequivocal, unconditional, immediate, and specific as to convey to the person threatened, a gravity of purpose and an immediate prospect of execution of the threat, and thereby causes that person reasonably to be in sustained fear for his or her own safety or for his or her immediate family’s safety, shall be punished by imprisonment in the county jail not to exceed one year, or by imprisonment in the state prison. (b) For purposes of this section, “immediate family” means any spouse, whether by marriage or not, parent, child, any person related by consanguinity or affinity within the second degree, or any other person who regularly resides in the household, or who, within the prior six months, regularly resided in the household. See Com. v. Melton (2010) 77 Mass.App.Ct. 552. See People v. Culbert (2013) 218 Cal.App.4th 184. See In re George T. (2004) 33 Cal.4th 620. See People v. Felix (2001) 92 Cal.App.4th 905. See California Penal Code 1192.7 defining criminal threats as a serious felony. 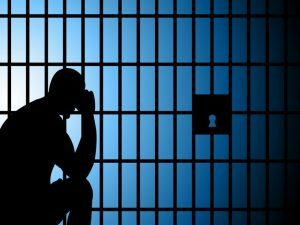 Penal Code 1203.4 (a)(1): In any case in which a defendant has fulfilled the conditions of probation for the entire period of probation, or has been discharged prior to the termination of the period of probation, or in any other case in which a court, in its discretion and the interests of justice, determines that a defendant should be granted the relief available under this section, the defendant shall, at any time after the termination of the period of probation, if he or she is not then serving a sentence for any offense, on probation for any offense, or charged with the commission of any offense, be permitted by the court to withdraw his or her plea of guilty or plea of nolo contendere and enter a plea of not guilty; or, if he or she has been convicted after a plea of not guilty, the court shall set aside the verdict of guilty; and, in either case, the court shall thereupon dismiss the accusations or information against the defendant and except as noted below, he or she shall thereafter be released from all penalties and disabilities resulting from the offense of which he or she has been convicted, except as provided in Section 13555 of the Vehicle Code. The probationer shall be informed, in his or her probation papers, of this right and privilege and his or her right, if any, to petition for a certificate of rehabilitation and pardon. The probationer may make the application and change of plea in person or by attorney, or by the probation officer authorized in writing. However, in any subsequent prosecution of the defendant for any other offense, the prior conviction may be pleaded and proved and shall have the same effect as if probation had not been granted or the accusation or information dismissed. The order shall state, and the probationer shall be informed, that the order does not relieve him or her of the obligation to disclose the conviction in response to any direct question contained in any questionnaire or application for public office, for licensure by any state or local agency, or for contracting with the California State Lottery Commission.